Is your roof missing or have curling shingles? Do you see exterior decay or dark spots on your roof? Do you have leaking in your attic, staining on your ceilings, or blistering paint on your walls? Call the GAF Master Elite roofing experts at More Than Roofing to begin your roof repair today. No roof repair project is too small. 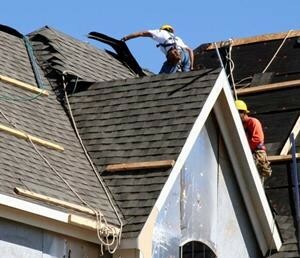 The More Than Roofing team of very experienced Harrison County MS roofing professionals is capable of completing almost all roof repairs in only one day. Since More Than Roofing opened for business many years ago, we’ve successfully completed roofing projects for countless of satisfied clients in Harrision County Mississippi. → You’ll be in contact with the identical supervisory service professional from beginning to end. Your supervisory service professional will oversee every aspect of your roof repair project, from a complimentary, in-home consultation to project completion as well as final cleanup. You will also will have the lead supervisor personal cell phone number in the event that you may have any questions or concerns. → We will help with regards your homeowner’s insurance. Before your roof repair work starts, we will assist you to determine (and file, if needed) your insurance claim eligibility forms if your residence suffered weather or fire damage. → As soon as the job is done, we will call you in order make sure that you are 100% satisfied. It very important for us to make sure that you are happy with our workmanship. Are you either an active or retired member of the military? More Than Roofing is proud to provide to you discounts on your roofing repair project. Call us for more information. We are completely confident we will rapidly and economically complete the repair or installation of roofing, by way of our Harrison County MS Roofing service office. In Harrison County, MS, More Than Roofing service areas include Gulfport, Biloxi, D’Iberville, DeLisle, Long Beach, Lyman, Pass Christian, and Saucier Mississippi. More Than Roofing also services the unincorporated communities within our primary Harrision County Roofing repair service area.